Find Everything Historic is the first real estate, travel, and lifestyle site exclusively dedicated to historic properties. The business connects historic property enthusiasts with an authentic and unique historic property experience. Whether you are looking to buy, sell, rent, vacation, invest or simply have interest regarding historic properties they offer a service. The most recent blog post titled: “Live” With A Next Generation Preservationist features our first full-time scholarship recipient, Chris O’Reilly. 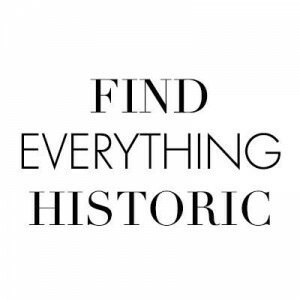 Click here to read the blog and learn more about Find Everything Historic.